Time tracking methods have come a long way since the days when an hourglass was used to accurately keep track of time. As we have become more technologically advanced our ability to track time has seen us jump from the humble hourglass to stopwatches and from stopwatches to computers. This upward curve has continued to time tracking software and today we have an abundant selection of software solutions to choose from. With so much competition to choose from what are the simply must have features that you need to have for you to effectively track your time? 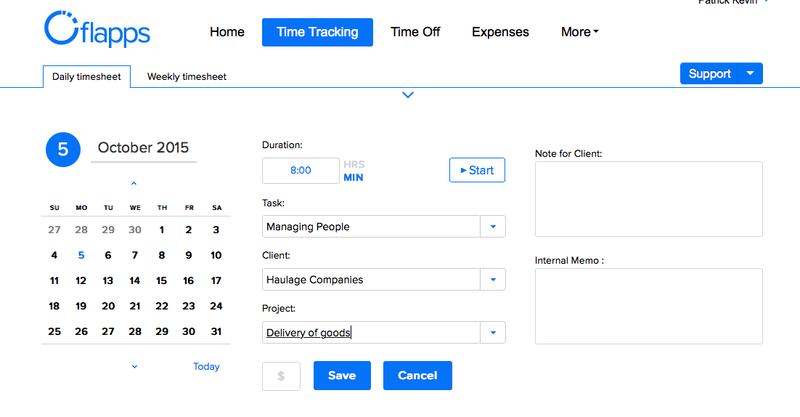 We have put together a short list of the must have features you need to have with your time tracking software. Ok, so you are the manager of a middle size company and you are understandably swamped with meetings, marketing, planning etc. etc. You need to keep on top of everything so when you are planning to implement time tracking software into your company you really need something that can manage your precious human capital aka your employees’ time. It’s also very important that the software you do implement is easy to introduce to your employees. Getting clunky software that makes their lives miserable can kill the whole initiative so you need software that streamlines and automates many of the day-to-day record-keeping processes and provides a framework for you to get the best out of your time tracking software. You need customizable software! Your company continues to go from strength to strength and you are growing all the time. You need to have time tracking software that can grow with you easily and effectively. Similarly, if you find your company is moving into a different line of work you might not need certain features you once used within your time tracking software. It’s unlikely that your time tracking demands will stay the same so you need a product that can adapt. At Flapps we pride ourselves in our ability to listen and learn so we better understand what you need from our time tracking software. It’s why our product is able to mould into your company structure and not the other way around. That’s why at the beginning of 2015 we implemented seven new features to Flapps after conversations with our clients. You might think that time and attendance is too obvious to add to the list and you would be right but we’ve added it to the list because some time tracking software solutions over complicate it. Everyone, from freelancers to the company CEO, uses the time and attendance feature so making it user friendly is of paramount importance. There is no need to have an overcomplicated feature here. We have a user-friendly interface that allows you to select your day and simply add the hours you worked into the calendar. A successful business includes many intangibles but the bottom line comes back to making money. If your business continuously losses more money than it makes, it won’t be in business for too long. One key area you can get some control over is absence management. Employee absence can cause a substantial cost to your business, whether through workers being sick or employee vacation days clashing. You need to find a time tracking software that provides you with the ability to prevent annual leave clashes while reducing sickness absence. So there you go, four key items to look out for when you are deciding what time tracking software is best for you and your company.